Our History, Integrity, Compassion and Trust… We take these words seriously. Anthony J. Morizzo and Daniel M. Morizzo, second generation funeral directors, now along with Anthony’s son, Ross A. Morizzo, continue to carry the same traditions their Father and Grandfather, Daniel A. Morizzo, instilled in them. That same motto “a friend in need is a friend indeed,” continues not only in the operation of the funeral home but also in their hearts. As a family owned and operated business, we take great pride in the services we offer to the families in our community. We are more than caretakers, we are your neighbors and friends. We are privileged to be a part of this community; and your family. We provide unparalleled guidance, unmatched care and unwavering support for the families we serve. He is not only a licensed Funeral Director and Embalmer for over 50 years, he is a true giver in his community. Tony has an active role in over 20 local organizations and charitable groups. Tony is always there to give that extra help and support to any family, charity, group or activity that would help his fellow man. You can truly say that Tony is not your standard Funeral Director … he is the standard for others to be. We offer families from Schaumburg, Inverness, Barrington, Streamwood, Hanover Park and our hometown; Hoffman Estates; a beautiful setting in which to come together to honor your loved one. Ross Morizzo has called the Hoffman Estates/Barrington area home since he was six years old. After attending Barrington High School, he graduated from Indiana University in Bloomington in 2005. It wasn’t until a few years later that Ross made the decision to get into the funeral service and graduated from Worsham College of Mortuary Science in 2010. He graduated from Worsham College of Mortuary Science in 1962 and has over 50 years of dedication working with the Morizzo Funeral Home. His philosophy to funeral service is that it requires a personal touch and that is how he approaches each individual and family that calls at their hour of need. Chas. is a licensed Funeral Director, originally from the Dundee - Elgin - Carpenterville area. He consistently strives to provide outstanding customer service and strengthening the camaraderie of all involved in the funeral, pre-need and pre-funding industry. Chas. is proud to be part of Morizzo Family of Funeral Directors; that expects to exceed the expectations of each family that we have the honor to serve. He has been involved with over 15 different local organizations in the Dundee, Sleepy Hollow, Carpentersville and Elgin and the South Elgin area. 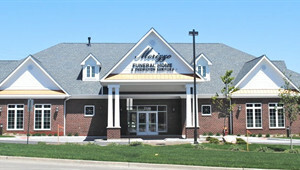 “At Morizzo Funeral Home; I know the families we serve find the highest quality of service and facilities available. We understand that each family is unique; and we want to help each family personalize each funeral life celebration. 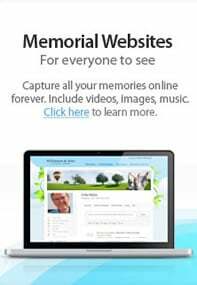 Everyone here at Morizzo Family Funeral Home Chapels and Cremation Services is consistently educating the general public; as to promote and perpetuate a traditional and meaningful funeral life celebration experience."